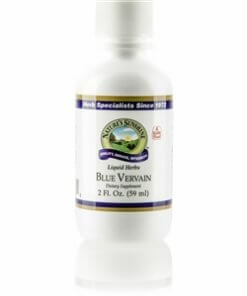 Nature’s Sunshine Blue Vervain is a natural herb supplements with many health benefits. Blue Vervain has been known as a natural tonic to aid in cleansing the liver from any unwanted toxins. The plant contains glycosides, volatile oils, tannins, alkaloids and bitter substances, which may be used as anti-inflammatories, detoxifiers, and even as natural mood enhancers and sleep aids. 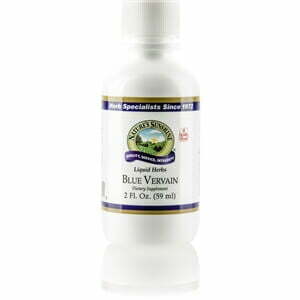 Nature’s Sunshine offers Blue Vervain in a highly concentrated liquid form. This liquid extract contains no preservatives or additives. Instructions: Adults: Take 1/2 to 1 teaspoon (2.5 to 5 ml) three times daily. Children: Take 1/4 to 1/2 teaspoon (1.25 to 2.5 ml) three times daily.